Canson is a well known paper company and has been well established for sometime (450 years old company). 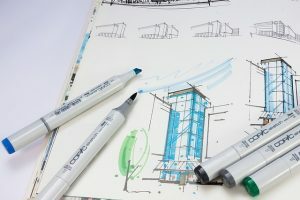 In this article, we are reviewing the watercolor line from Canson: the Canson XL Series Watercolor. 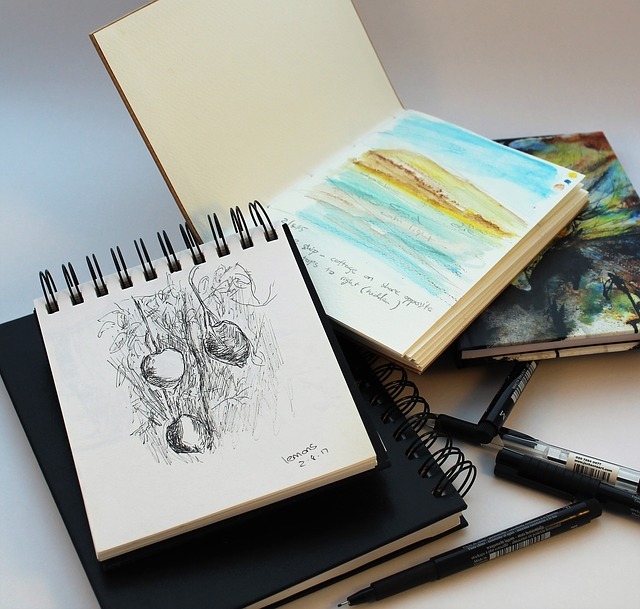 Sketchbooks from this series features cold pressed textured paper, that is natural white and acid free, and the reverse side of the page is smooth and ideal for drawing and sketching. 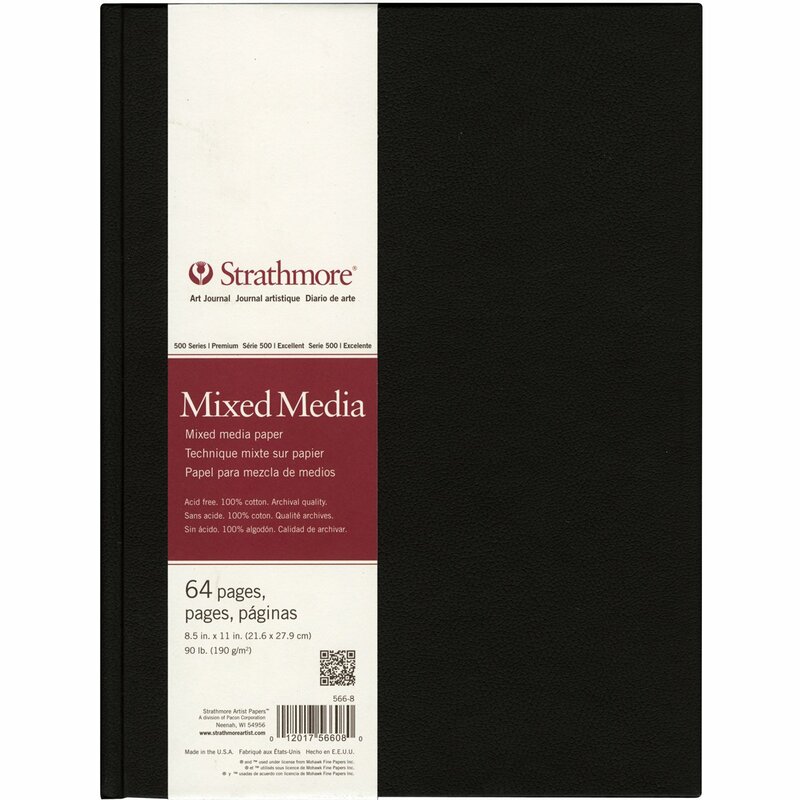 These sketchbooks are known for their ability to show great color, withstand repeated washing and erasing, and even scrubbing and scraping - making them a great choice for a wide range of media. 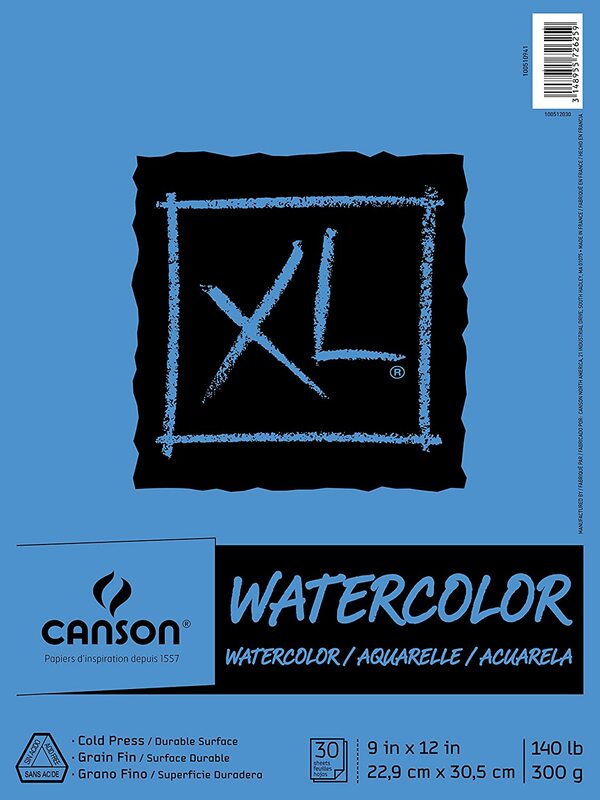 While it is primarily made for watercolor use - Canson XL Watercolor sketchbooks can also be used for the following drawing techniques: acrylic, pen and ink, marker, colored pencil, pencil, charcoal and pastel, these are very versatile sketchbooks. 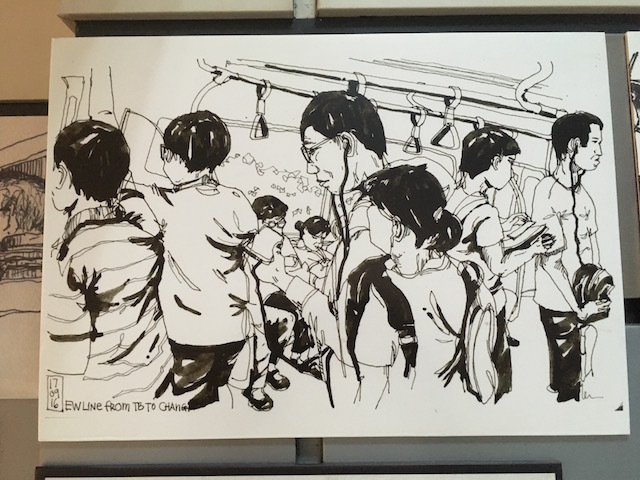 One can only wonder why Canson made another sketchbook line - the Mixed Media series, while this Watercolor line seems to handle other medium just fine. 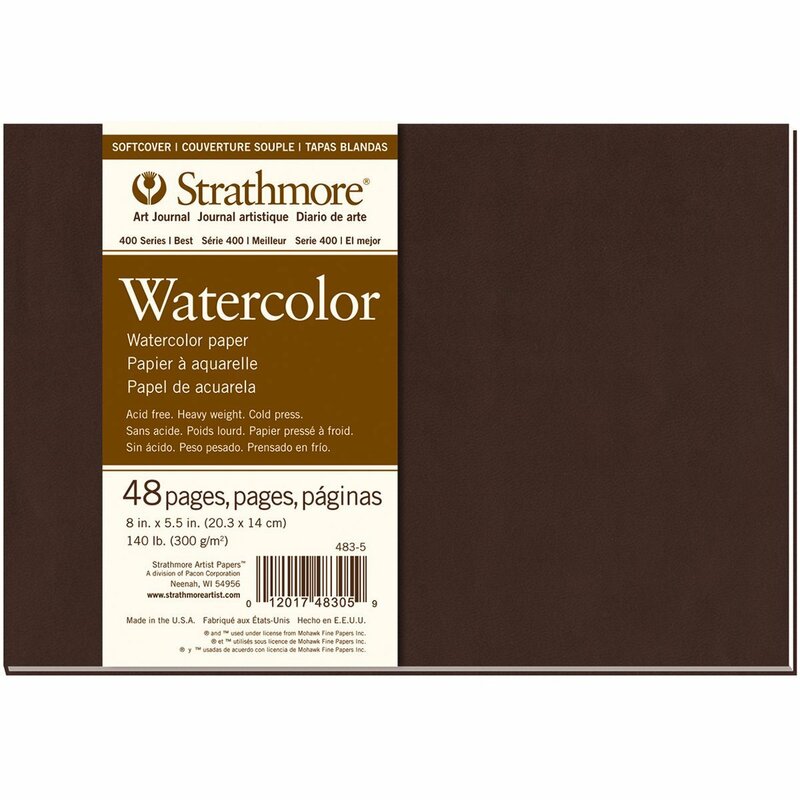 Each cold-pressed sheet has a textured side ideal for watercolor, and a smooth side ideal for drawing. 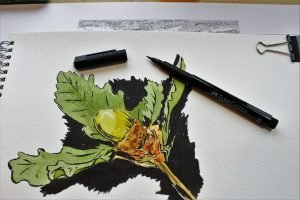 This versatility makes it a great watercolor sketchbook for trying a variety of different media, techniques, and tools, because the paper will hold up to wet or dry media, rubbing and erasing, and the two page textures invite experimentation. 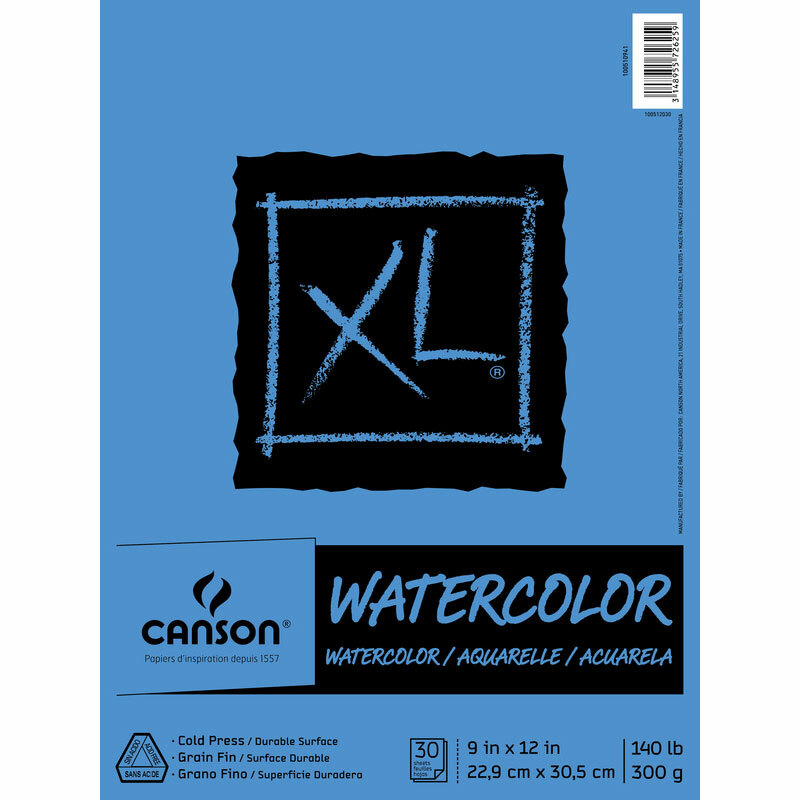 Canson XL Series Watercolor sketchbooks are great for artists who want to experiment with a wide range of wet media. The large size, high-quality paper, and affordable price makes it easy to try a variety of wet and dry media and techniques, experimenting and expressing different styles and moods. The cover is well-constructed, with heavy, durable materials that provide a good surface to draw against and stand up to some tough use. The unique fold-over design keeps the cover and pad intact during repeated opening and closing, so the binding doesn't split. It also lays perfectly flat in use and is suitable for right- and left-handed artists. 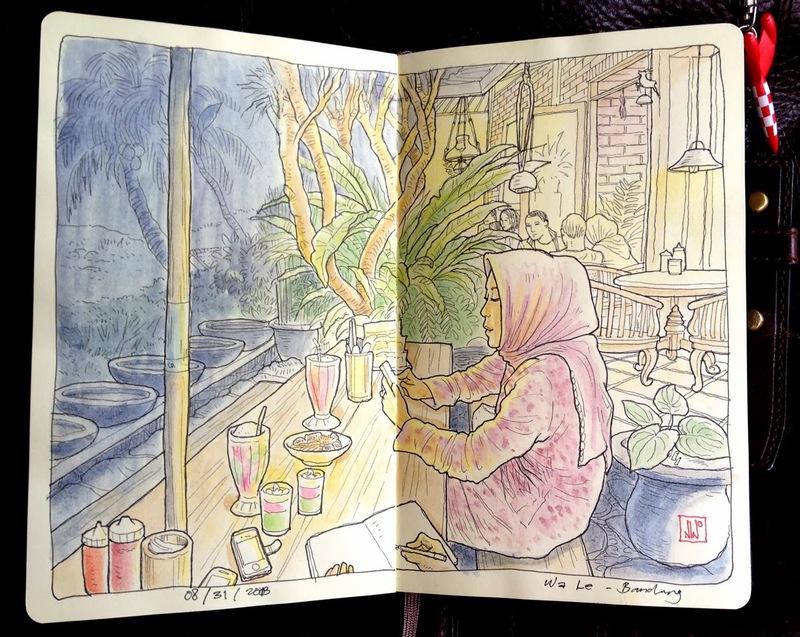 The paper is a natural white color that accepts color with accuracy and vibrancy. The paper is acid-free, lignin-free, chlorine-free which means it will preserve your artwork for a long time. The paper weight for this sketchbook is 140 pound / 300 gsm paper, which is the standard for watercolor paper (note: if you need a refresher on watercolor paper weights and types, we have written an article about them). The paper is perfect for dry and wet media, and durable enough for repeated washings, erasing, and even scratching and scraping. One one side is the cold-pressed texture paper that accepts large areas of color wash, as well as fine details. The reverse side of each sheet of paper is smooth, making an excellent surface for drawing, sketching, and inking, adding versatility and usefulness to this sketchbook. 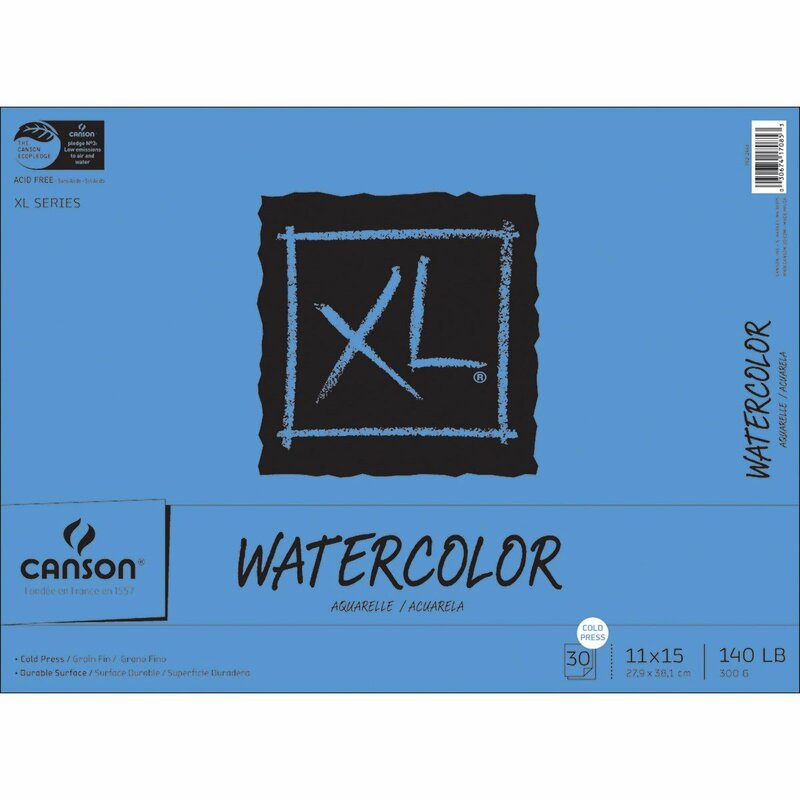 The Canson XL series is specifically designed for watercolor but can be used for all wet and dry media and is particularly good for gouache and acrylic paints. 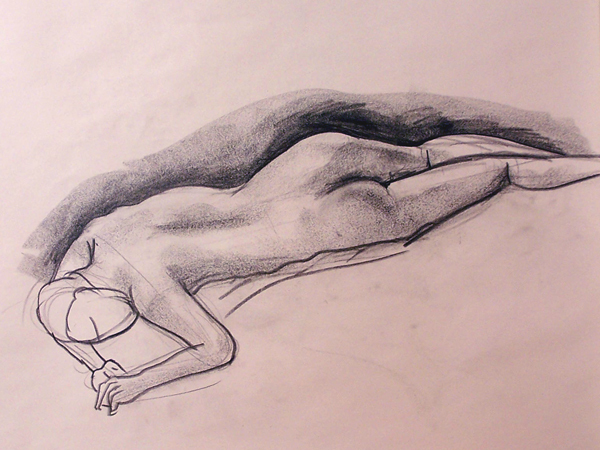 The smooth side is ideal for charcoal and graphite. All Canson XL products are manufactured using sustainable processes, and the paper is made with recycled content. While Canson makes excellent watercolor paper, it is not of the highest quality. 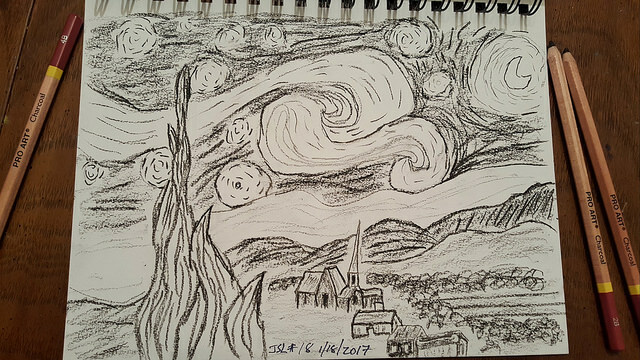 It is a better paper for experimentation, exploration, and trying various techniques. For artists who are more experienced with watercolors and want a higher quality paper to produce more refined pieces, it would be better to choose a more refined paper. For a superior water color paper, consider the cold pressed Arches Aquarelle. This pure cotton paper is thick, stable, durable, and resilient. It hast long fibers and a long grain for excellent detail and light reflection. Arches papers are thoroughly tested and quality controlled, made in a cylinder mold using techniques that have been passed down and refined for over a century. Each sheet is tub-sized in a bath of natural gelatin and then air dried for strength and durability. The Arches paper mill has been hand making paper since 1492, and every sheet shows their expertise and dedication to the craft. These papers are known for their excellent durability, vivid color, and ability to layer texture and create depth and complexity. 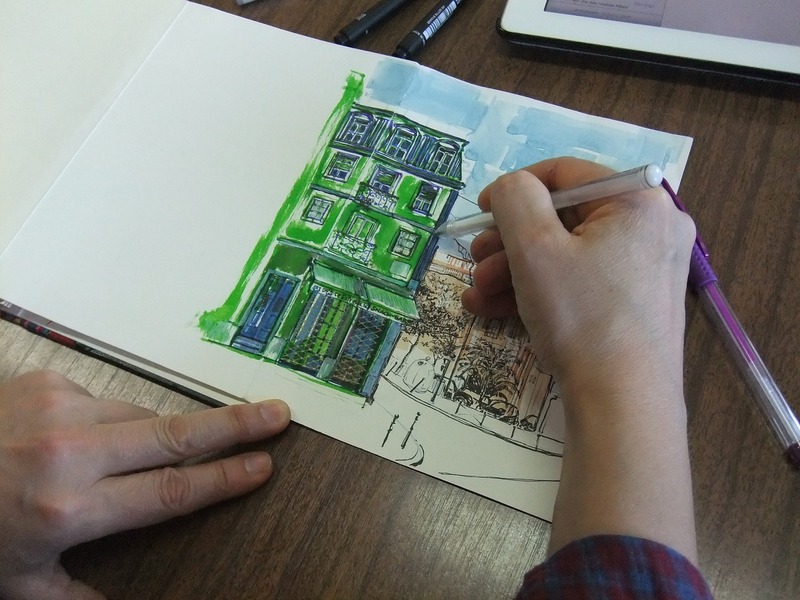 The Canson XL series of watercolor sketchbooks are a great tool for watercolor painters to use the ideal cold-pressed textured surfaces, thick paper, and wash techniques they prefer. But it's also a great sketchbook for anyone who wants to experiment with wet and dry media, including inks, gouache, watercolor pencils, acrylics, and more. The reverse pages are smooth, making them ideal for markers, graphite, inks, and stencils. The ability to blend, blot, wash, and rub on the page without warping or distortion, and the freedom to use any media you choose in any way that you want makes this sketchbook perfect for your freedom, development, and growth as an artist.